If you are an online merchant, you are most likely familiar with chargebacks – a forced refund initiated by the buyer through his or her credit card company. You also know about all of the ways in which chargebacks negatively impact your business, including the fees as well as the loss of profit, your merchandise and your credibility as a seller. 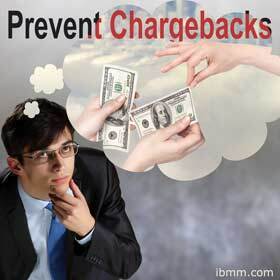 While chargebacks are sometimes unavoidable, there are some ways to make sure that chargebacks are kept to a minimum. There are certain signs which suggest that a transaction might be fraudulent. Visa has provided a list of signs to watch for in card-not-present transactions here. You should familiarize yourself with these red-flag indicators. Also watch for other suspicious behaviors such as order forms which lack important and obvious information like the buyer’s last name. MasterCard and Visa Provide Tools to Help Protect Yourself – Use Them! There are several different pieces of information which you can ask a buyer to provide when they submit an order. This includes card expiration date, address verification and the card verification value. These will ensure that, if nothing else, the buyer is at least holding the card used. In addition, the credit companies both offer their own method of internal fraud prevention – Verified by Visa and the MasterCard SecureCode, of which you have the option to take advantage. Besides those offered by the major credit card companies, there are several ways in which your payment processor can help protect you from chargebacks as a result of fraudulent purchases. Blacklist: A list of people whom you do not allow to process transaction with your business. This can include specific IP addresses or even entire countries. Whitelist: While a blacklist bans specified buyers, a whitelist will ban everyone except for certain designated exceptions. For example, you can choose to accept orders only from buyers in the US and UK. Maximum Limits: You can also elect to have a maximum spending amount per transaction. Therefore, defrauders are not able to order a huge amount of merchandise using a stolen card, for which you will be on the hook when the cardholder realizes what has happened. Velocity Checks: You can prevent buyers from placing too many orders with the same card or from the same IP address within a short period of time. 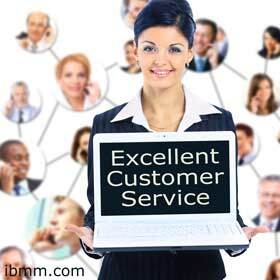 Trading Name: Ensure that your company’s recognizable name appears on the buyer’s statement. Otherwise they might see a name which they don’t quickly recognize, panic and call their credit card company to claim that they’ve been the victim of fraud. Perhaps the most obvious and basic thing which you can do to prevent chargebacks is to provide excellent customer service. Be sure to succinctly explain shipping and order processing policies and abide by the timeframes you posted. In addition, take care to provide clear product descriptions, make your contact information readily available, and be sure to respond quickly and effectively when a buyer has a question. Keep accurate records of all your transactions. This will help ensure you don’t bill a customer twice. It will also make the termination of reoccurring transactions easier. By keeping accurate records, you also have a better chance of winning chargeback representment and avoiding chargeback disputes (learn more here). While there is little you can do to make sure you never have to deal with a chargeback, by following these simple processes you can at least ensure that they are a very rare occurrence, and that their impact on your business is minimal. Next article: This Will Make You Rich – Even If You’re Clueless!